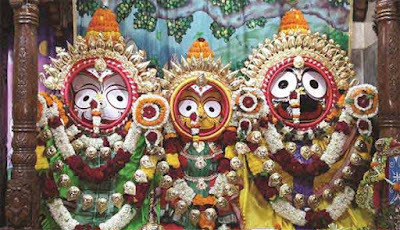 Goddess Vimala worshipped in Puri Jagannath Temple is part of tantric worship. Certain tantric school considers Lord Jagannatha as Bhairava. Goddess Vimala is considered as Bhairavi of Jagannath. Goddess Vimala is a manifestation of Dakshina Kalika. Temple dedicated to Goddess Vimala is located at the left side of the main Puri Jagannath Temple. Animal sacrifice used to be offered to Her three times in a year.